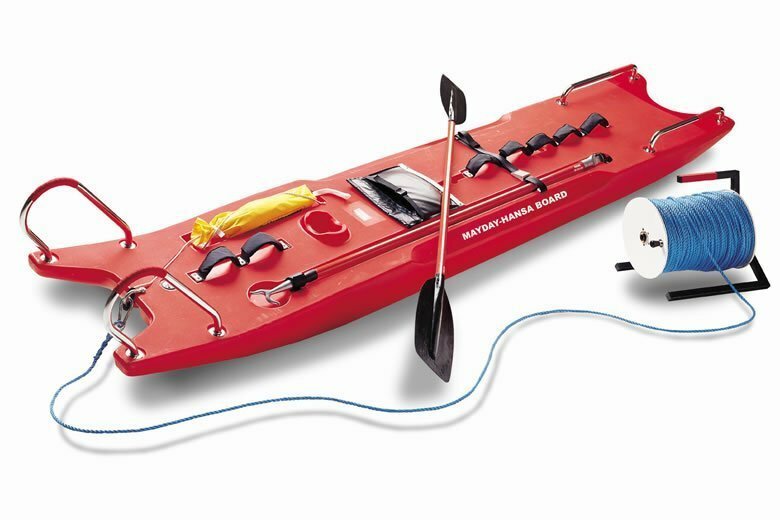 The Mayday-Hansa-Board is used by professional life rescuers and water rescue teams all over the world to rescue victims of water and ice rescue. 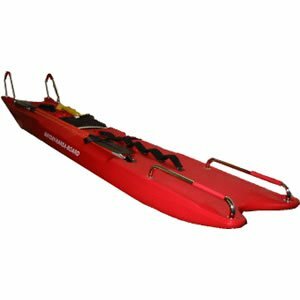 It was developed from a surfing board by the company Mayday Scandinavian International AB in cooperation with Swedish professional life rescuers at the Fire and Rescue Department, the Life Rescue Society. 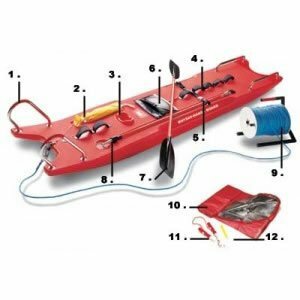 The Mayday-Hansa-Board has been in use by professional rescuers for the last 15 years all over the globe. In Sweden and the Scandinavian countries, the board is included in the official training programme for professional life rescuers in the life rescue schools. 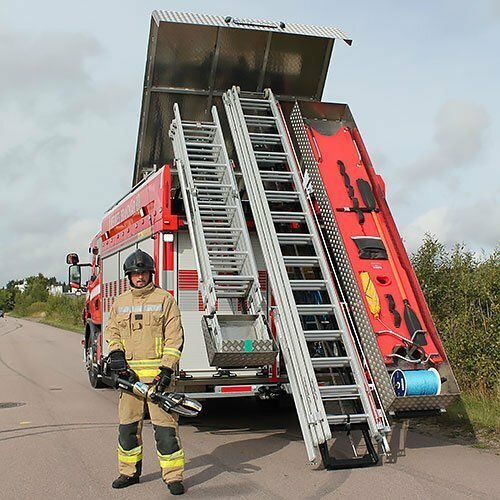 Almost every fire department in Scandinavia is equipped with a Mayday-Hans-Board. The first rescue vehicle out to a surface accident is equipped with a Mayday-Hansa-Board as standard. The Hansa-Board is used by professional life rescue personnel and is recommended for emergency units, fire departments, emergency training schools and life-saving associations. The Mayday-Hansa-Board is made of environmentally safe, foam-filled, rotation cast polythene and measures Length 335 cm x Width 63 cm, Weight 30 kg – Buoyancy 300 kg (approx). 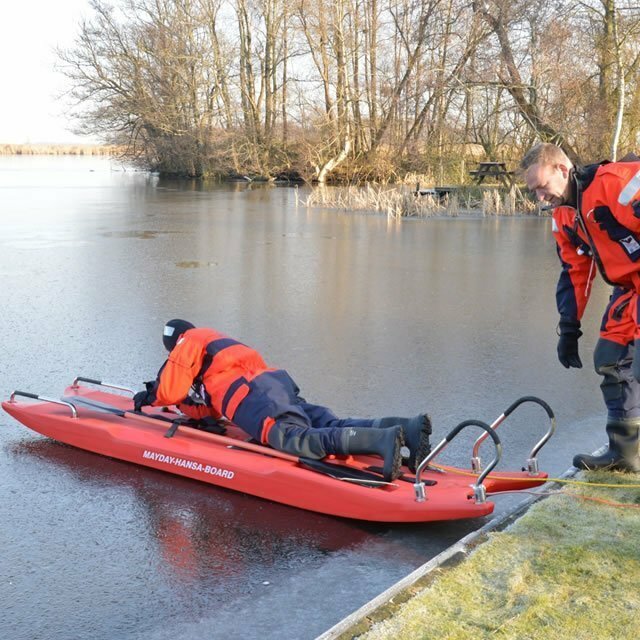 For more information and see how the MayDay Hansa Board is used in Ice Rescue Techniques.